Boots have always been one of the most fashionable and essential foot wears for people around the world since the time they were designed. Boots keep the feet well covered from dust and dirt, allow a firm grip and offer an extremely stylish appearance for which they are so popular. The most elegant categories of boots are made from the skin of various animals like alligator, crocodile, elephant, shark, cowhide, stingray and many others. 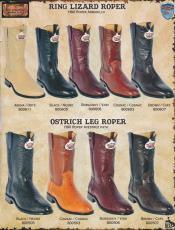 Among all the Ostrich Roper Boots have a special appeal to all fashion lovers. 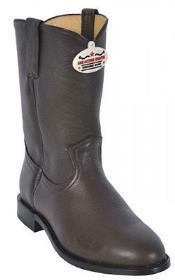 These specially constructed boots offer maximum comfort. 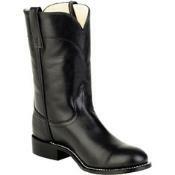 They are the typical cowboy type of boots the difference being that they are sleeker and more sophisticated in looks. The exotic texture of ostrich roper boots is really adorable. You will get them in a range of variable colors too. They are the best choice for fashionable men as both casual and dress wear. You will get different kinds of styles in the shaft, vamp colors, heels and toes options according to your tastes. The designers take care to create each pair of ostrich roper boots to give them a distinct and subtle appearance. 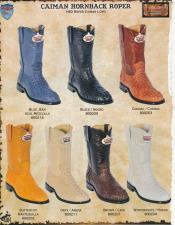 The unique and fancy styles make it very difficult to make a choice when you are at the roper boots stores. The innumerable advantages offered by these Ostrich Roper Boots have made them so popular. 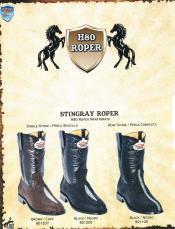 The low heels allow ropers to get down from their horses without any difficulty and chances of spraining their ankles. Whereas the high heels give you that perfect look that you would love to put on when you are on the dance floors. The leather of ostrich skin is unbelievably attractive and sophisticated. The colors, cuts and fits are exclusively matched to bring an unmatched appearance that helps you to steal the show. These boots have an amazing attraction especially due to the texture and smoothness. You can wear them anywhere you wish. But always remember to get the perfect fit for that will allow you to move in style and confidence. With the improvement of technology in all fields, the shoe manufacturing industries too employ footwear designers who are experts and offer highly professional boots to cater to the choices and tastes of all customers. The market reviews help them to change their styles and sizes of the heels and the cuts. They are made perfectly to suit different kinds of events both inside performances and outdoor activities. 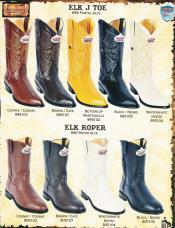 The workmanship and quality of the ostrich roper boots are really commendable. You will not find any flaws to complain about. 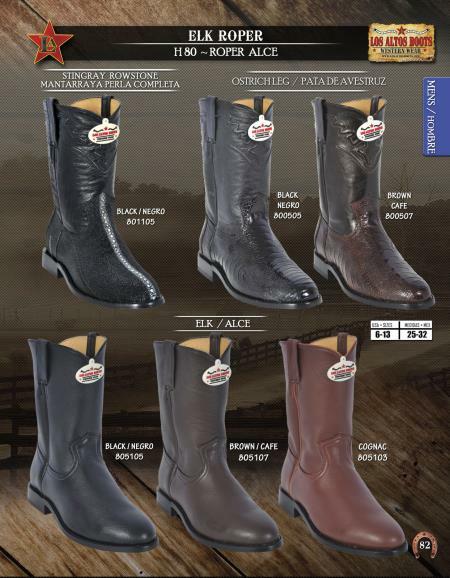 You will get a variety of these boots like the ones in saddle tan roper boots made from full quill ostrich skin. Most of the boots are handcrafted and have leather lining to bring that special comfort and elegance. 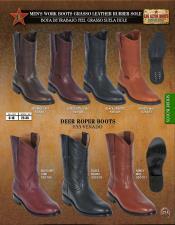 Although Roper Boots is very soft and light weight, they are a favorite of most fashion conscious and trendy men. The cognac quill ostrich roper boots have crepe soles with round toe at the top made of 10â€� leather and a cushion-like insole. You can carry these boots very comfortably for their light-weight and water-proof qualities. You will get variable sizes ranging from B 9 to EE 13 series. They are known for their sturdy and strong attributes and durability. So you get back for what you spend. 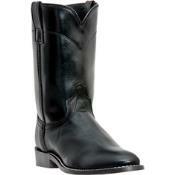 There are various outlets that sell the various designer ostrich roper boots. Do not just buy the ones that you like. But choose the pairs that fit you well and you look outstanding. Visit our online stores for an unending variety of these undaunted boots of various sizes, cuts, colors and designs. You will surely be satisfied with our huge range that is priced reasonably for all customers.